The Java-based search platform Apache Solr is fast and incredibly powerful. It’s mostly used by enterprise servers to handle searches through local databases and even return relevant content from other sources. But learning Apache Solr from scratch is no easy task. Thankfully you can find tons of great books at all levels that can help you come to terms with some of Solr’s more advanced features. I’ve curated the absolute best Apache Solr books to help you go from a complete beginner to an advanced user. Take a peek at this list and see if anything catches your eye. You’ll find plenty of intro-level Solr books but none of them compare to Solr in Action. This is like a 350 page bootcamp introducing the basics of Solr through initial setup and pushing you into more technical exercises. Everything about this book is fantastic from the writing style to the content structure. 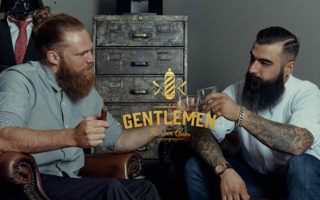 It’s my #1 recommendation for beginners who have no idea where to start. 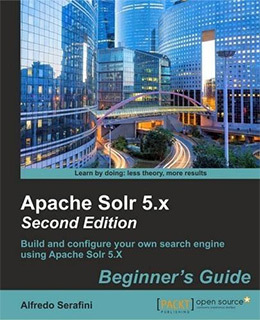 WIth just under 500 pages Alfredo Serafini shares his tips for beginners in his book Apache Solr 5.x Beginner’s Guide. You’ll learn how to install Lucene/Solr and how to create default searching & indexing features from scratch. The early chapters walk you through all the basic features and initial setup within Solr. But you’ll quickly move onto CURL search and the custom Solr UI for security & maintenance workflows. Everything in this book is easy to follow and the writing style is extraordinary. It’s targeted directly at complete beginners who have never even touched Solr before. I’d give this a high recommendation if you don’t mind the slightly outdated version number. It is a fairly recent book and the source code works great. But even though technology moves fast the Solr fundamentals remain the same. 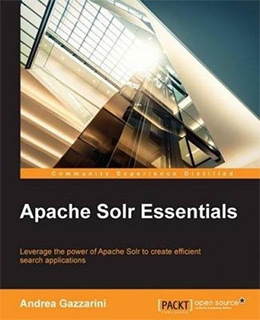 If you’re looking for a smaller book with a quicker intro then you might like Apache Solr Essentials. This only has 185 pages but covers much of the same material in a quicker fashion. You’ll learn how to setup a new Solr environment and you’ll learn about the core topics like search indexing. If you don’t already know Java then you should probably skip this book. It requires an extensive understanding of Java before you can dive in. The lessons teach you how to pull data from external websites and import content for searching, and it’s all done through the Java client. What I like most about this book is that it’s quick yet considerate. You’ll learn Solr from the perspective of a developer and a systems admin/devops crew. I’d recommend this to newbies who need a softer intro the Apache Solr. The book is a tad short but it covers everything you need to know to get started. It’s rare to find a programming book with this much clarity and information packed together. 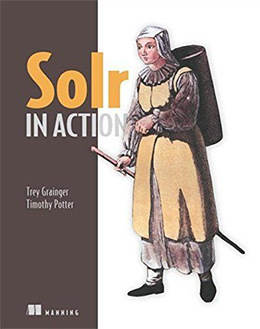 But Solr in Action is easily one of the best dev books on the market, and it’s likely the best Solr book for beginner to intermediate devs/sysadmins. This book also works great with Lucene in Action since that’s a huge part of the Solr framework. But Solr in Action does cover a bit of Lucene too. You’ll learn about topics like text analysis, basic query parsing, and more distributed search techniques for a variety of sample projects. Each time you learn something new you’ll be forced to put it into practice. This is where the title “in action” makes sense. The book strikes a nice balance between actionable steps and technical theory which are both necessary to improve with Solr search. Overall this is perhaps the best Solr book I’ve ever seen. It’s over 660+ pages long and it easily covers all the fundamentals plus a whole lot more. If you’re looking for a very detailed introduction to Solr then I highly recommend Solr in Action. As long as you’re willing to learn and put in the work you will not be disappointed. If you need something a tad smaller to keep as a desk reference then check out The Apache Solr Handbook. It’s just over 130 pages and it’s one of the most updated books for the newest Solr features. The author Susan Becker has a brilliant style of writing that should feel natural to any reader. 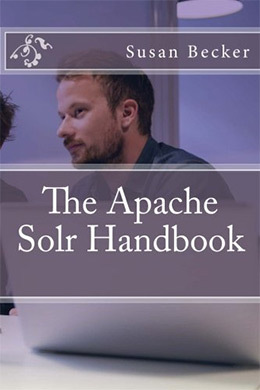 Many technical books read like confusing tech manuals, but this one really feels like a field guide to Apache Solr. Each chapter includes many illustrations and diagrams to keep you up to speed with everything you’re reading. But this is not just an intro guide to Solr. It’s a complete handbook to the entire Solr ecosystem from installation to configuration and project management. The price is affordable and it’s a really small book so this can be perfect for someone who wants a quick intro to Solr, or for anyone who just wants a small desk reference to keep nearby. 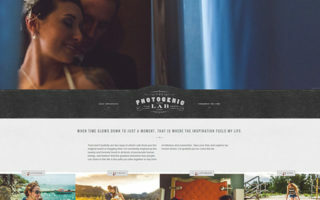 Once you get beyond the basics you’ll find yourself looking into more technical projects. 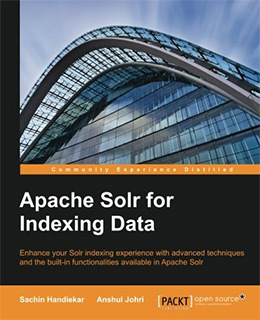 Indexing is a huge part of any search engine and the book Apache Solr for Indexing Data covers indexing in great detail. The book is pretty short totaling about 160 pages. But what you’ll learn in each chapter is surprisingly versatile, from different indexing methods to index handlers and managing indexes for XML/JSON data. Many web developers rely on Apache Solr so this is definitely a great book for anyone working in webdev. Each chapter covers a new extension or library that can improve your typical workflow. And by the end you’ll combine all of these tools to build a real working ecommerce search engine. Everything in this book is practical and easy to replicate in your own work. 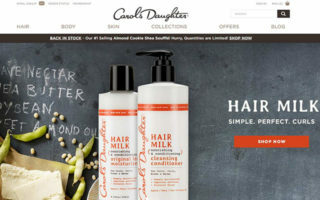 The shopping cart webapp is fantastic and it really drives home the power of Apache Solr. This book gets a high recommendation from me, and it’s perfect for anyone interested in search indexing. You should already have some experience working in Solr but you don’t need to be an expert to pick up this book. Different search styles work with different patterns to solve different problems. This seems obvious in theory, but putting this into practice is much tougher. 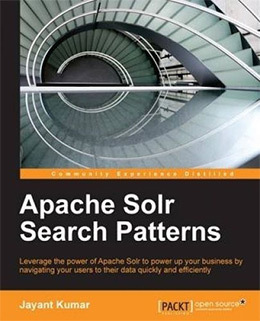 Apache Solr Search Patterns shares 250 pages full of search patterns for common database structures like ecommerce stores and real estate directories. You’ll learn how to create custom algorithms with Solr and how to auto-sort data based on your own criteria. In later chapters you’ll learn about cloud computing and distribution for Solr architecture in the cloud. Each chapter comes with a demo tutorial that can help you grasp the more detailed/confusing concepts. This is certainly not a beginner’s book. It’s meant for developers who already understand Solr and want to use it for larger commercial/enterprise projects. If you feel comfortable with the basics of Solr this book will definitely push you into uncharted territory. And in my opinion that’s a good thing! This may seem like another simple beginner’s book, however it covers Apache Solr from the standpoint of an enterprise dev environment. 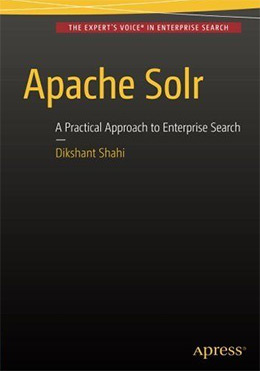 Apache Solr: A Practical Approach to Enterprise Search is the perfect book for someone with little-to-no prior experience who works with big data or large applications. You’ll start by installing Solr and learning the basic config but you quickly advance through tutorials like indexing & searching through documents. More detailed topics include metadata extraction and search filtering along with content transformation techniques. This book starts small but quickly balloons into much more complex topics with Solr. If you’re interested in big data or data science this would be an incredible intro to Solr. It teaches from practical examples that focus on enterprise apps that’ll really help you understand how it all works. Most web servers run PHP and it’s easily the most popular backend language on the web. 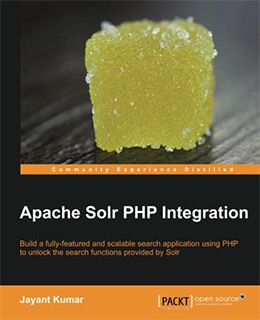 Apache Solr PHP Integration takes you through a basic integration process for PHP and Solr communication. You’ll learn how to build apps that work on PHP and structure their search features through Solr. This includes stuff like database searches but also focuses on document searches and scraping web content. The book is surprisingly short at only 120 pages. You are expected to already understand Apache Solr and PHP, so this book just guides you through exercises connecting the two together. Early chapters focus on specific exercises for PHP/Solr and later chapters help you refine these projects for debugging and optimization. This is a really cool book and it’s incredibly valuable for anyone who wants to merge a PHP/Solr workflow. Server performance is essential in the modern era where page load time can affect your rankings in Google. 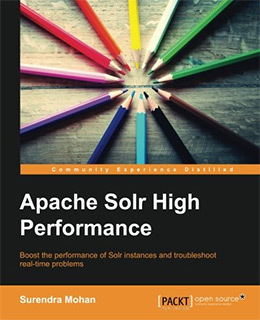 That’s why Apache Solr High Performance is a vital book for anyone building search features for enterprise. If you’re working in Solr then you’ll quickly realize it’s a detailed library. The basics are easy to pick up, but once you get into the details of a real application things can get confusing quick. 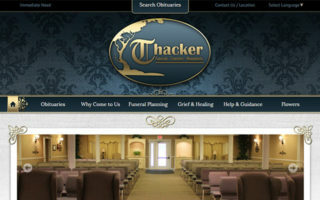 You’ll learn about many different types of caching along with related tools like the DisMax Query Parser and ZooKeeper. There is no better optimization book for Solr than this one. It’s pretty darn short at only 110 pages, but the author wastes no time getting into the details and it pushes your knowledge of Solr into pro territory. Since most enterprise servers rely on Solr by default it’s not a bad idea to pick up the basics for enterprise projects. 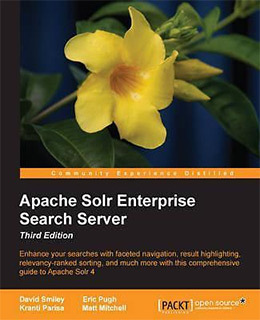 Apache Solr 4 Enterprise Search Server was just recently updated with a new revised edition totaling 480 pages of guides and tutorials. 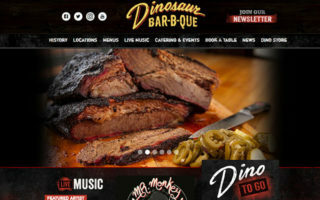 Enterprise search relies heavily on Solr schema and big data processing. This isn’t too far off the most common uses for Solr, but it may not be the norm if you don’t work in enterprise. That’s why this book is really valuable if you’re just getting into search for enterprise work. While the book’s title mentions Solr 4 it actually gets into Solr 5 in detail. You’ll learn about Solr administration and techniques for reducing server load with something like a MapReduce job. If you’re just starting your career in enterprise this book can be a godsend. It’s not for absolute beginners so I would recommend picking up a smaller intro book first. But it’s possible to pick up this book with very little experience and still learn a lot about Solr for enterprise. Database admins and server architects always worry about scaling. This is a natural part of growth and with modern technology it’s a lot easier, yet still a tough job. Scaling Apache Solr offers tips and techniques to help you build an environment for high-performance search on large datasets and across huge server clusters. 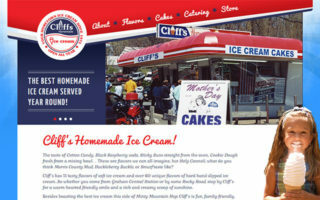 The ultimate goal is an enterprise search that’s fast and efficient. This book teaches sharding and fault-tolerance techniques for scaling any Solr installation. But you’ll also learn about performance tuning for an existing application to improve speeds while scaling. There’s really no limit to the number of techniques, just the best applicable uses for them. 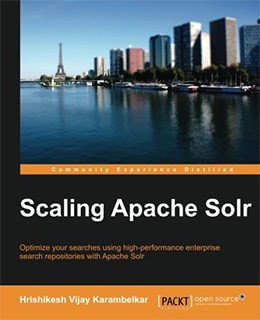 Over 200+ pages you’ll learn a lot about scaling Solr applications. But I think this book works even better with other resources like the next book in my list. Every major technology has a cookbook of solutions and code snippets for common problems. 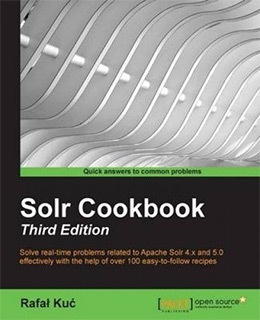 The Solr Cookbook is currently in its 3rd edition with just over 350 pages full of custom Solr search recipes. This book offers a practical guide to Solr 5 with recipes and how-tos for almost any scenario. You’ll learn how to setup custom querying and configuration while also toying with SolrCloud for a production environment. The best recipes also teach you how to troubleshoot and solve your own problems while looking for bottlenecks in the system. As you get into more technical applications you’ll face many of these challenges—and this cookbook can help you solve them all. I would only recommend this book to developers who feel comfortable enough working in Solr on their own. It will not solve everything but it can offer a safety net for solving those really difficult problems. Solr is lightning fast and reliable across any size server. It’s generally the best search platform for Apache Lucene and it’s one of the best open source search libraries you can learn. If you’re brand new I recommend starting with Solr in Action which also covers Lucene and offers practical exercises to help you learn Solr search. From there you can move onto whatever catches your attention from optimization to enterprise work and scaling Solr to the cloud. With over a dozen books on Solr search and tons of related resources online I guarantee there’s enough out there to help you pick up & master Apache Solr from scratch.